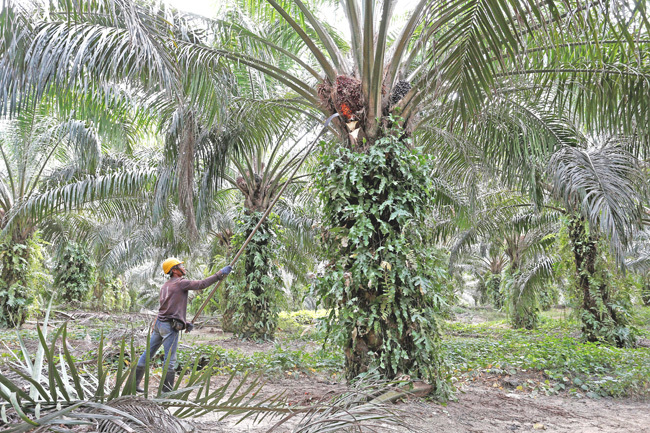 You are at:Home»Business»Can ‘Big Brother’ technology clean up palm oil’s image? Some say the technology is not enough to stop deforestation – that monitoring is not preventing. Others worry boycotting unsustainably made palm oil just drives bad practices elsewhere. But it has garnered attention because it thrives in biodiverse regions, threatening endangered species and exacerbating global warming. RSPO-certified oil comes with extra costs, which buyers are not always willing to swallow. Of the 11.9 million tonnes of RSPO-certified oil produced in 2017, only 52 per cent was sold as such, the group said. “So, for the time being, we really struggle to see how we could market it positively.” Italy’s Ferrero Group, which only buys RSPO-certified palm oil that has been separated from the rest, has tried Starling, but the Nutella maker said it is still assessing results of its pilot to decide whether to keep using it. Benchmark palm oil futures are just 19 per cent off a three-year low they hit in November, at US$563 per tonne. RSPO-certified oil can cost from US$2 to US$40 more per tonne depending on the level of sustainability, according to Carl Bek-Nielsen, chief executive director of United Plantations and RSPO co-chair. Palm oil is still cheaper than alternatives but several supermarkets have cut back or stopped using it, including SPAR in Austria and Coop in Italy, citing health and environmental concerns. Italy’s Barilla is also challenging Ferrero’s Nutella with a chocolate spread without the oil. European Union lawmakers are set to phase out palm oil in transport fuels from 2030, angering producing countries, which see the export as key to economic growth and poverty reduction and have threatened retaliation. But world demand is poised to continue expanding fast as incomes climb in developing nations. “If oil is produced, it finds a way to market,” said Jonathan Horrell, director of sustainability at Cadbury chocolate maker Mondelez International. Mondelez buys RSPO credits to cover its palm oil volumes rather than sourcing only physically certified oil, while also piloting GFW Pro. It says engaging with producers to improve their practices is more effective than cutting ‘dirty’ oil out.